ArtWeek, a statewide art festival, will be in Franklin April 26-May 5. The FCC is looking for artists, art orgs, schools & businesses to participate. FCC ArtWeek grants close Jan. 31! ArtWeek is a 10-day festival, April 26 - May 5, 2019, featuring unique and unexpected arts and cultural experiences that are participatory, interactive, or offer behind-the-scenes access to artists or the creative process. Anyone can host an ArtWeek event…organizations, businesses, schools and individual artists. And while the VENUE has to be in Franklin to be part of ArtWeek Franklin, the HOST or participating organization does not! Successful events are often partnerships between artists and venues, such as a theater or dance performance in a restaurant, or an art workshop in a retail space. 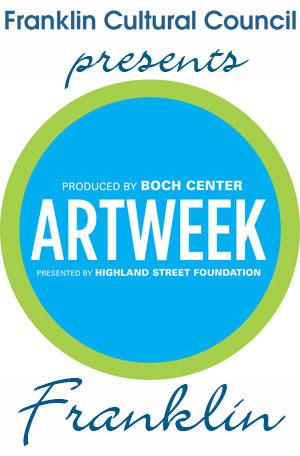 ArtWeek events must be open to the public (though you can limit the number of attendees through ticket sales or other means), but they don't have to be free. All events must be under $50, and you keep all revenue. Want to host a free event? Well, that's certainly encouraged too! 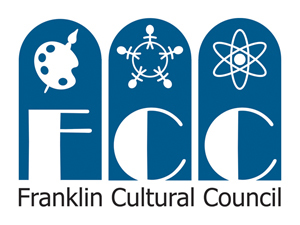 The Franklin Cultural Council is once again providing special grants just to those programs offered free of charge! Don't miss out...grants close Jan. 31. This newsletter was shortened for publication here. If there was a link for the full set of contents, I'd share it but the sender did not include one. If you want the full email, let me know and I'll forward a copy.